The final instalment in this creature-feature, arachnid-apocalypse, horror series is a satisfying and entertaining read. As ‘they’ like to say – things have to get worse before they can get better; Zero Day epitomises this perfectly. 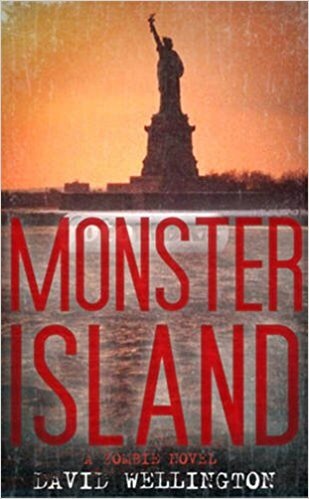 The previous novels (reviewed here and here) set up this brilliant conclusion, tying in all the threads of the plot perfectly. With the American President under immense pressure to act from her military advisers, nuclear bombs are dropped on U.S soil, the country torn apart and divided. Yet, it’s still not enough. However, a rag-tag group of survivors working in different parts of the country hone in on a way to defeat the spiders. Scientist Melanie Guyer’s research discovers ever more frightening aspects of the aptly named ‘hellspiders’ whilst backwood geniuses Shotgun and Gordo reconfigure their invention from failed weapon to arachnid tracking device. Much like Guyer, their research doesn’t make things better. At all. 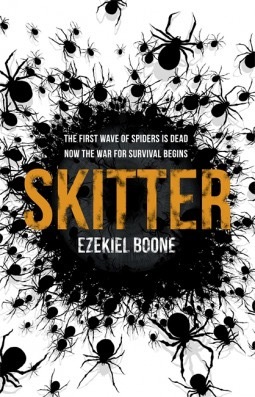 The spiders in Boone’s novels just get scarier and scarier as the books go on and, in Zero Day, things really get worrying. Sprinkled in amongst all the big plays are numerous side stories adding to and painting the bigger picture perfectly. There’s great moments, some apocalyptically wild and some heartfelt and touching. But, Boone keeps the pressure rolling. A military coup, a final queen-sized hatching of new-and-improved spiders and a countdown to the end of days. It’s a great finish to a very readable set of novels, perfectly balanced between adventure and horror. Aside from reading my son his collection of The Little Red Train books by Benedict Blaithwayt (which are excellent for toddlers), the Dark Cities anthology has me equally enthralled. Grit by Jonathan Maberry features that city within a city; the housing estates of the UK or the projects of the USA. The kind of places that have their own ecosystems and rules, where the locals implicitly understand the unique laws they live by. Working amongst that grim collective of hustlers, addicts, survivors and criminals is the protagonist; ostensibly a bounty hunter for two enigmatic bondsmen yet also a man who deals in things on the other side, both of the law and the natural. Big, ugly and covered in tattoos, he’s a man who is capable of reaching through the veil. Communicating with ghosts and uncovering the identities of their murderers, he can understand the pain of the lost and wandering souls. Tasked with just such a job, Grit is a rough and violent episode into a place best avoided. The horror contained in Simon R. Green’s Happy Forever is an enigmatic one. A thief of unusual and exceptional items is contacted by the father of his ex-girlfriend a decade after her disappearance. Though he claims to be free of any attachments, even to his own name, this request immediately draws him in as he seeks to save her and thereby show his true feelings. Her ‘prison’ is an unassuming suburban house where time has stopped. The thief appears to be in control and on route to fulfilling his task. The darkness of this tale comes in the last few paragraphs and leaves and unsettling feeling. Paul Tremblay does an amazing trade in dealing out dualities; stories full of more questions than answers and answers with no clear meanings. The Society of The Monsterhood is told from the perspective of a neighbourhood regular, witnessing events from his front porch. Four kid are given the opportunity to attend a good school on a scholarship. This immediately makes them a target for the other residents in the hood where they live. Verbal and physical abuse ensues. The kids become teens and then something changes. They issue a threat, one which has dire consequences for those who don’t leave the four of them alone. It’s here that Paul Tremblay interjects uncertainty, giving the story numerous facets and a heavy degree of weirdness. Helen Marshall’s The Way She Is With Strangers is a wonderfully poetic, musically written short story. It’s a strange but engaging tale of Mercy, a women who has moved away from her place of birth to a new city and a new existence where her daughter regularly visits and where she seems to have found happiness amidst the difference. But, as the story progresses the rhythm alters. Oddities occur and suddenly strange clues are left to be unthreaded. The Way She is With Strangers is strangely beautiful. Pathways and boundaries, maps and geographies all hint at something beyond as Mercy tries to help those looking to find a way out of the city; a way only ghosts can walk. It’s a wonderful story. Coming at the idea of a ghost story from the polar opposite direction, Good Night, Prison Kings by Cherie Priest is a grim and gritty tale of vengeance. The story is a slowly revealed by the protagonist, Holly, as she finds herself remembering the circumstances of her current existence. Sat in a mundane interview, Holly realises that she is dead and that her interviewer is offering her the chance to conclude some unfinished business. That ‘business’ turns out to be the opportunity to avenge her own death. To bring retribution to those who have wronged her and the elderly family members she was looking after. Holly turns out to be a violent conduit for justice but it’s the targets of her anger that add such a grim taint to the tale. What I’ve Always Done by Amber Benson is an engaging yet odd snap shot of a strange life. Told with few details but in with exceptional style, this is one of those short stories that has the immense ability to pull the reader into a world using but a few sentences. It’s violent and dark, hitting the brief perfectly. 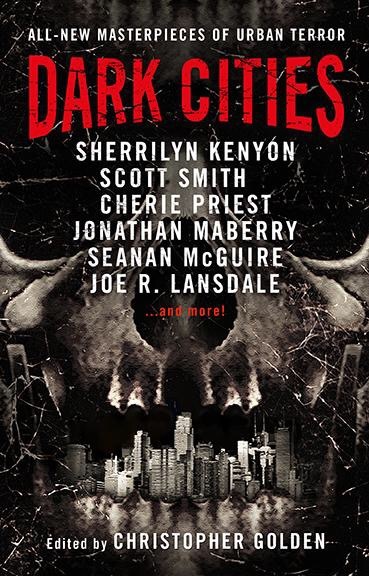 The strap line for this anthology reads ‘all-new masterpieces of urban terror’ and with an impressive list of authors to boot, it’s a collection I’ve been keen to read. Premised on the idea of the city, each writer has scraped back the veneer of metropolitan living to reveal the horror lying beneath. only ever going to end badly. However, it’s not the normal ‘met a guy who turned out to be a serial killer’ type bad; somehow it’s worse yet also pleasantly mundane. A mysteriously magical flat; murderous, talking canines; and the choice between killing or being killed. 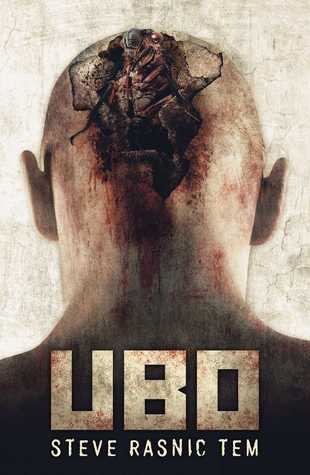 Superbly written and brilliantly paced, The Dogs is understated horror at its finest. In Stone by Tim Lebbon definitely added some welcome chills to this week’s epic heatwave. It’s a story that manages to do so much with mere suggestions and hints rather than outright horror but the effect is exceptional. An insomniac narrator, troubled by the death of his closest friend, begins walking the streets of his home city in the early morning hours. During these meandering wanderings, he sees a woman strolling down alleyways and sidestreets, and he follows her. Curiosity peeked because she seems so out of place, so elsewhere, the woman disappears. It’s a mystery that leaves the narrator unsettled and he investigates the spot again the next day. However, what he finds inexplicably intrigues yet deeply frightens him. Soon he begins seeing signs of further offkilter happenings around the city and can’t help but look for more. In Stone never explicitly shocks but the creeping sensation it produces is impressive. Both stories have found intriguing interpretations of the brief for this anthology and I’m definitely hooked. Featuring so many good writers, such as Jonathon Maberry, Paul Tremblay, Ramsey Campbell and others, I’ll be posting up more reviews soon.